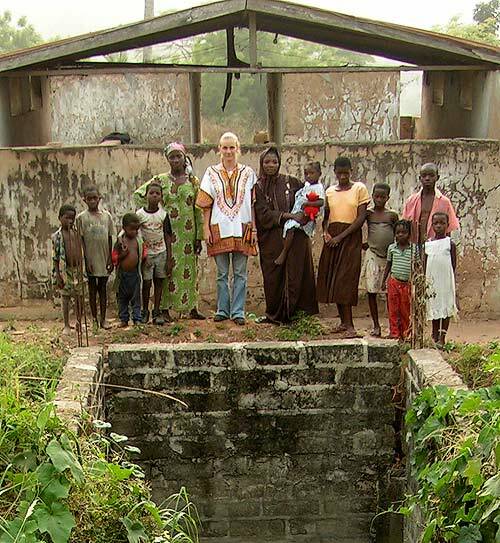 This photo shows myself and several of my townpeople in front of the current latrine. The construction we're standing behind is the current state of the latrine we're trying to finish with this funding. This project has been fully funded.